In her talk, Yee Kee Cheung said the main drugs the average pouch-owner uses are loperamide and codeine. These two drugs help slow the pouch’s motions and so prevents frequent loo visits. They also help us to absorb water and the daily nutrients our bodies need. Loperamide can be taken in “quite high doses” of up to 16mg four times a day, she said, and it is relatively safe with no long-term side-effects. The average codeine dose, on the other hand, is 30-60mg four times a day and can cause drowsiness. To get the best effects, said Yee, pouch-owners should take both drugs 30 minutes to 1 hour before food. As bacteria is said to be the main cause of pouchitis, the recommended treatment is to take antibiotics twice a day for 1-2 weeks. In more severe cases it can be taken for a period of a month or even several months, she said. The main antibiotics are metronidazole, ciprofloxacin and augmentin. One of metranizadole’s side-effects was a metallic taste in the mouth. Users should also avoid alcohol while taking it. Anyone who is prescribed ciprofloxacin should avoid direct sunlight and use sun creams during hot weather, she said. Users sometimes experience inflammation in the tendons – mainly the Achilles. The other antibiotic, augmentin, can cause nausea, vomiting and diarrheoa. It also contains penicillin, so those with penicillin allergies should mention this to their doctor before taking it, said Yee. If antibiotics do not help to control a spell of pouchitis, pouch-owners could try probiotics, which, she said, is a food supplement rather than a drug. VSL3 is the most trialled or investigated. It contains eight strains of bacteria and can help those with severe pouchitis who are in remission with antibiotics. Probiotics can be bought without a prescription from pharmacies and health stores. Yee advised pregnant women to avoid complementary or herbal medicines and, when taking medication or drugs, to consider using creams or enemas instead of tablets. When breast-feeding, women on a drugs regime should take them after they have breast-fed to minimise exposure to their baby. “There are drugs we know that are definitely not safe in pregnancy and some drugs that are known to be safe. However, there are lots of drugs in the grey area where there is lots of conflicting data about whether or not it is safe,” said Yee. “Always discuss this with your doctor if you are planning to start a family, or what your plans are after you have had your baby and whether you want to breast-feed,” said Yee. When a pouch-owner plans ahead, she and her partner can then gauge which drugs are safe and which are not, said Yee. Anyone who lives in Scotland, Wales and Ireland does not pay prescription charges. In England the current charge is £8.80. One good way to save money on charges is to use a pre-payment scheme, said Yee. Pre-payment cards can be obtained by filling in an FP95 form from your local pharmacy or GP’s surgery. Pouches are not currently included in the Department of Health’s medical exemption certificates list. “This list is very limited. There are lots of chronic conditions patients may experience that require very regular medication and they are not eligible for free prescriptions, so this is a list in desperate need of revision by the Department of Health,” said Yee.  If you found this article interesting, why not consider attending the Red Lion Group Information day at St. Mark’s hospital on 27 April 2019. where there will be another presentation “Pharmacy advice for Pouchees”, by Uchu Meade, St Mark’s Pharmacy Manager, Lead Clinical Pharmacist. Hear the talk first hand and have the opportunity to ask questions. You can download the full agenda for the day here. If you would like to attend please download the registration form below. Note that the cost is only £8.00 for members and members’ guests and £10.00 for non-members (cost includes lunch and refreshments). Please complete the form and remit payment as soon as possible to guarantee your place as spaces are limited. If you have pre-registered, please send form and remit payment by 1 April to guarantee your place.